It appears like a stairway to heaven. A citadel stands at an elevation reached by this imposing flight of steps. My first sight of the grand buttresses and the façade led me to easily conclude - This is a UNESCO World Heritage Site. 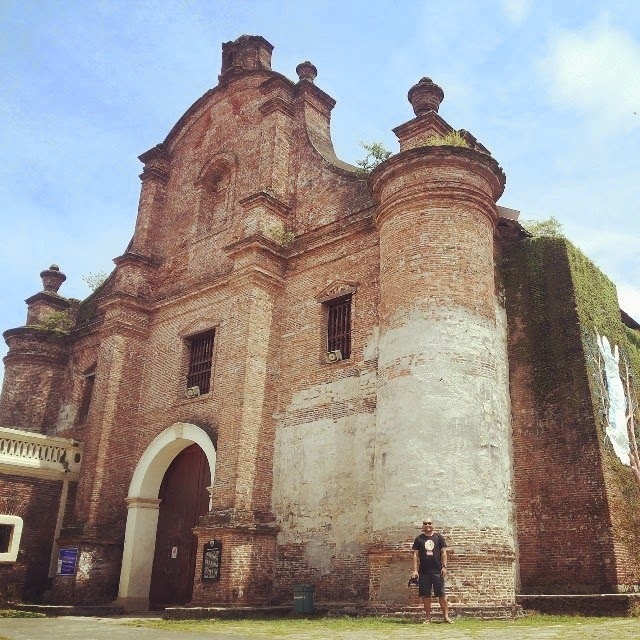 The Church of Our Lady of Assumption (Nuestra Señora de la Asuncion) commonly known as the Santa Maria Church is the parish church of Santa Maria, Ilocos Sur. The church is designated as a UNESCO World Heritage Site and one of the four Baroque Spanish-era collections given the inscription. I was then standing at a vantage point with my camera on the left hand and an umbrella on my right hand, to protect me from the unbearable heat one Saturday morning. The panoramic view of the church, the convent and the bell tower was a great consolation nevertheless. What makes the Santa Maria Church unique from other churches in the Philippines built during the Spanish times? I’ll give you three. a. Town churches in the Philippines in conformity to the Spanish setting sits on the central plaza. Santa Maria Church on the other hand, is situated on a hill surrounded by a defensive wall making it appear like a fortress. b. In front of the church is a convent, with the unusual characteristic of not being adjacent to the church. c. The bell tower is constructed separate from the church and is not parallel to the façade but situated almost at the end of the wall. It was rather a brief moment for me with this UNESCO World Heritage Site. In fact, only interesting features of the façade where noted, as I did not enter the church anymore to inspect the interiors. After a few photo shoots, we then left the church, this for me is another accomplishment on my quest to visit all UNESCO World Heritage Sites. For this comfortable trip to the historical church, we would like to thank Mr. Jose “Bonito” Singson, Jr. of Hotel Felicidad-Vigan City for their transportation service. Andaming alam sa history, nakaka bilib. Best in research na!